Wordless Wednesday ~ Disney Hats Oh My! 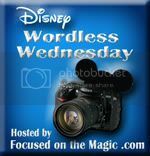 | Focused on the Magic : Wordless Wednesday ~ Disney Hats Oh My! This week's theme is Disney Hats, Caps, Bonnets and Bows. Silly, saucy, big and small, we all wear them. Let's share them! 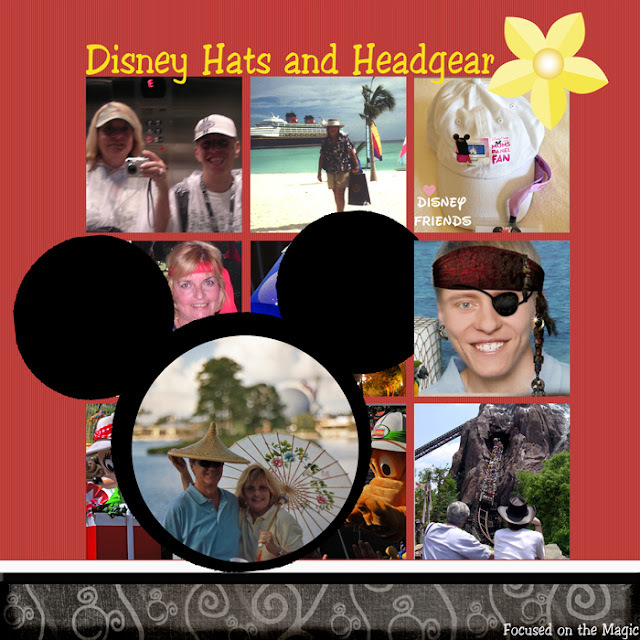 The template used in this page of our park hats and headgear is from Mousescrappers Week #160 Template Challenge. I had a good time looking through our pictures but choosing just a few was really difficult. We love our hats! This post is part a fun scrapbooking blog hop, Memory Keeping Monday. If you didn't get here from there then hop on over and check it out by clicking the button below. Love the hat memories and how they are arranged into that template. Thank you for the magic each week. I love your scrapbook page! It looks great. Love the collage!! This was a fun week Deb. I enjoyed going back in the archives for our head gear fashion shows! Love the collage! :) So many fun head accessories. Cute collage!!! Love the pirate getups, aargh! I love how a simple adornment to the head can change a person's entire personality. For instance, it's almost impossible to put on a bandanna and not feel like a pirate. Or Hulk Hogan, but when you're in my kind of shape, definitely a pirate. Fun topic this week Deb. Thanks for hosting. I loved seeing all the different hats while we were in Disney. We tried to keep track of all the new ones we saw each day while we were in the parks. It kept my 4 year old entertained the whole week! Yes, it is the Indiana Jones hat. It's my sons favorite Disney hat. This is really fun, Deb! Having a hard day at my house because of my Gram and this was a really nice way to re-focus my attention and re-live some of my family's fun memories trying on different hats on our trips to Disneyland and Walt Disney World!! I still pick up my "hat" (my princess ears) at home and say something to the effect of....remember when we were "insert WDW location here" and how much fun it was. Gosh, can't wait for next time! Love the Hat Pics in Epcot countries! Great collection of hats and a beautiful template to display them. Gotta love your pirate hat though. Thanks for as always. I love Disney hats! My son and I have a blast trying them on. I had him try on a hat in every country in Epcot and took pictures! love the indiana jones one :) it brings back good memories of my first trip, my dad and brother got matching hats! The page is very cute. I love my DVC hats that we get when we go on a DCL cruise! When we take time to listen to a promo they give us a free hat! Can't beat that! Ha that is so cute! We get new ears each time we go. It's so much fun trying them all on at Disney. I used to have a denim floppy hat that said Peace, Love, and Mickey Mouse. It was my go to for days in the park. I wish I had not left it on a ride a few trips ago. I love my Goofy pirate hat! I got it at the Not So Scary Halloween Party! I have 2 pairs of ears and like 3 hats, I'm addicted to hats. Can't wait to get our ears in june!